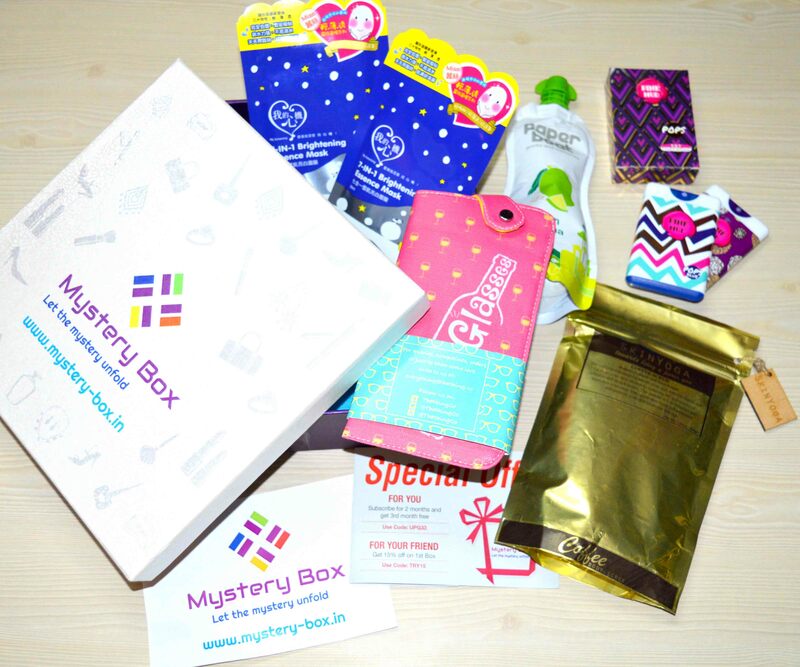 Today I am back again with a review post on a monthly subscription box namely, Mystery Box. Truly speaking I’ve always loved the idea of subscription boxes. They have the best and most unique way to pamper your own selves!! 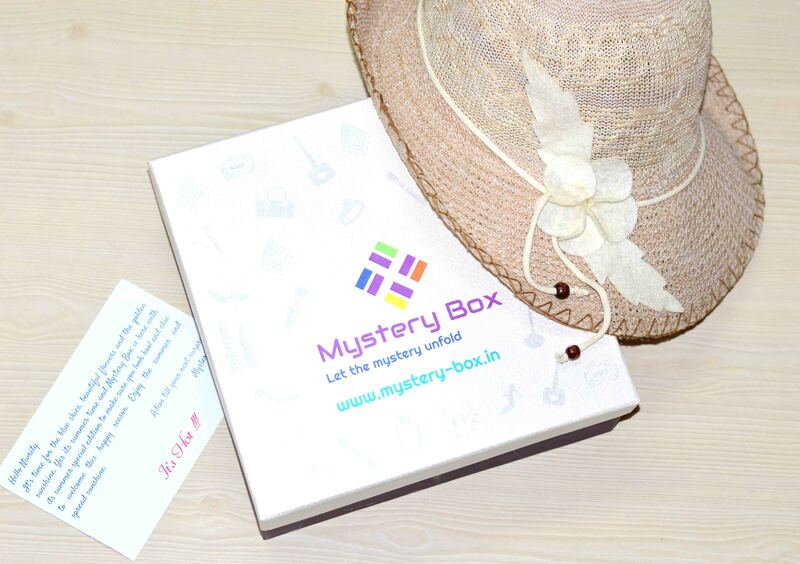 So Mystery Box is monthly subscription box that offers fashion, beauty, lifestyle and quirky stuff. In brief, absolutely anything in the universe! Each month they have different themes and according to that they try to curate the products based on the theme of the month. Please check out their blog section on the website to get some idea of what they have offered in the past boxes. 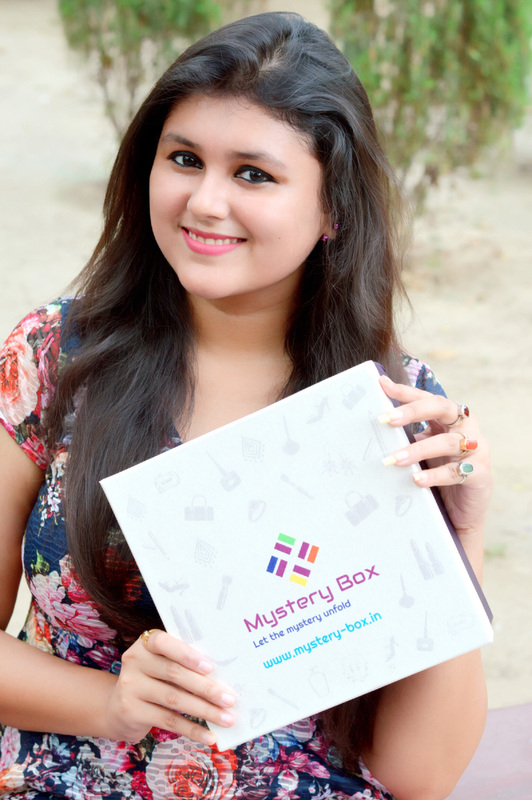 You can head over to www.mystery-box.in to order your box of happiness now! Also if there are any b’days / anniversaries or special occasion they can send the box as a gift with a personalized message in it but currently only for women. Also if you plan a little bit in advance they can also try to deliver it on a particular date without any additional cost. 1. 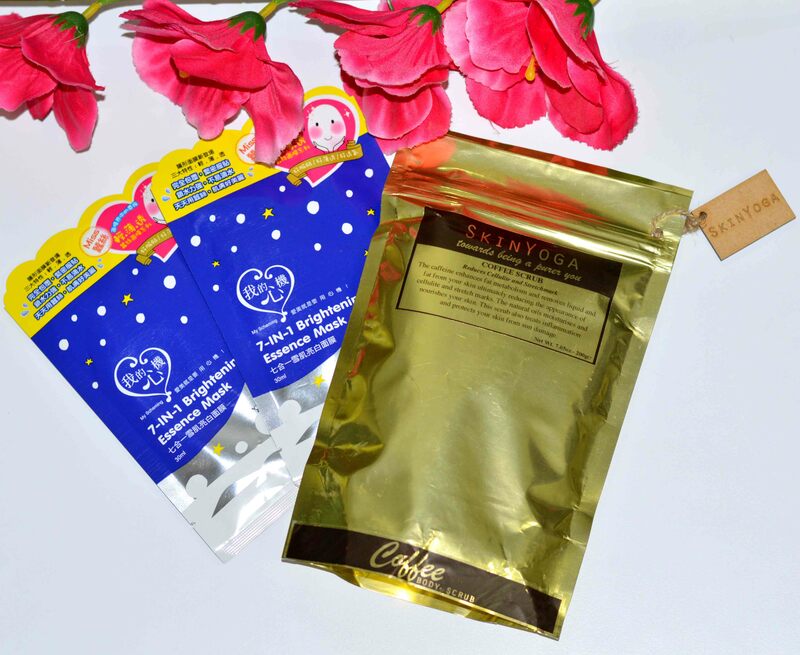 Coffee Scrub (Body Scrub) from Skin Yoga: The caffeine enhances fat metabolism and removes liquid and fat from the skin ultimately reducing the appearance of cellulite and stretch marks. The natural oils moisturizes and nourishes the skin as well. This scrub also treats inflammation and protects the skin from sun damage. 2. 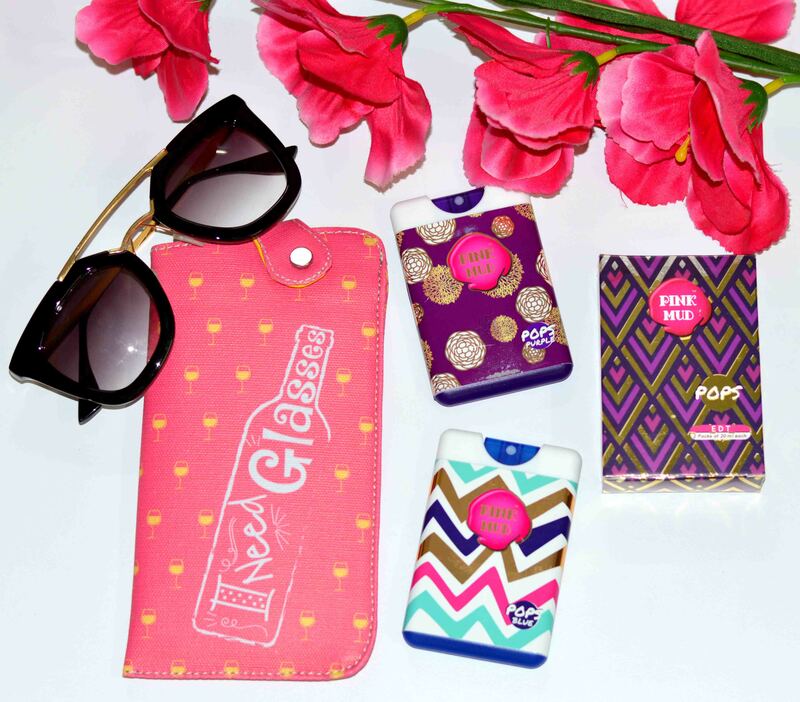 Sunglass cover from ThathingCo: Well we all know that sunglasses are a must during summers, so we need to protect our favorite shades from scratches and easy falls as well. The funky cover not just protects the shades but also makes it look way cooler. 3. 7-IN-1 Brightening Essence Mask: The 7 top skin brightening extracts effectively enhance skin metabolism and restore skin brightness to release a natural glow on skin from inside out with a fairer & smoother skin. 4. Pink mud POPS : It consists a pack of 2 EDT s of 20ml each. Both of them smell absolutely divine. 5. Paperboat Aampanna: This is one of best flavors from Papaerboat drinks I’ve had so far, and is definitely my favorite out of all of them. With the goodness of mangoes and natural ingredients, Paperboat surely stands out to be one of the best drinks ever. Here are the pictures of the products inside the April edition of Mystery Box. So that’s all for today guys! Hope you all loved today’s blog!! Don’t forget to follow Mystery Box on all the social medias! Connect to me through my social networks. For any collaborations, suggestions or queries you can e-mail me at nivritydas@gmail.com. What do Like to read about mostly?